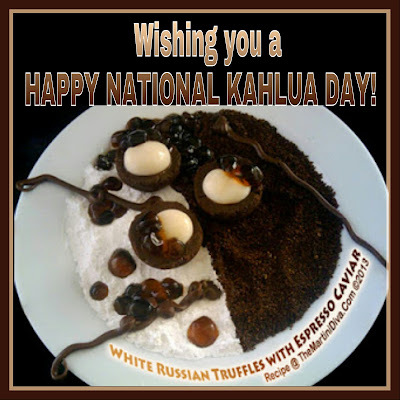 Kahlúa is a rum based coffee liqueur originally produced in Mexico. The name derives from a word which means "house of the Acolhua people". Today there are several flavored versions available as well as a Kahlúa Especial which has a higher alcohol content and is made with higher quality Arabica beans grown in Veracruz, Mexico. HOW ABOUT WE MAKE SOME? I've been making my own version of Kahlúa for years, some great versions and some not so great. The first time I made coffee liqueur in the 1970's I ended up with brown sludge from the cheap vodka and instant coffee recipe I tried. The first mistake there was using cheap, the second was using vodka, the third was using instant coffee. I've come a long way since those days and have finally found a great recipe which employs a high quality aged rum, ground beans, real vanilla and Turbinado sugar. This recipe was adapted from a recipe I found on Serious Eats. Coffee filters, small metal strainer, small saucepan, funnel, Mason jar, infusion jar or bottle, decorative bottle. Cold brew the espresso beans by adding them to 2 cups of water in a Mason jar. Shake and refrigerate for 24 hours. Strain through a coffee filter lined metal strainer into the infusion jar. Set aside. After 24 hours you can then make the Turbinado simple syrup by combining 1-1/2 cups of Turbinado sugar and 1 cup of water in a saucepan. Bring these just to a boil then remove the pan from the heat and allow the syrup to cool and thicken. Grab the jar that you have your cold brew coffee in and scrape in the beans from the vanilla pod, drop the vanilla pod in as well. Add in the rum and shake everything up then allow the infusion to steep for a week, shaking at least once a day. Once the week is up strain out the vanilla beans and pod through a metal strainer and bottle up in a decorative bottle with a sealed cap. TIP: You might want to double the recipe. I went through my first bottle in two days. By the way, this makes a great gift for holidays, birthdays and it's an excellent hostess gift.